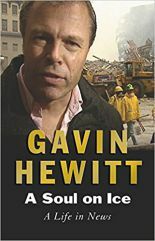 Gavin Hewitt is a prominent writer, broadcaster and speaker. He was the BBC’s Chief Correspondent from 2015-2017 during which time he covered the Trump campaign in the United States. 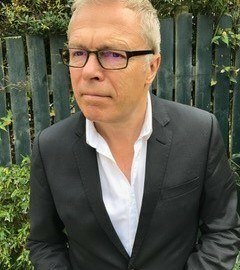 Before that he was the BBC’s Europe Editor from 2009 – 2015 covering the crisis in Europe. In 2003 he was embedded with the American Third Infantry in Iraq. He reported from Ground Zero after the 9/11 attacks and covered the aftermath of Hurricane Katrina. He wrote and presented the BBC 1 obituary to Princess Diana. He has won a Bafta, an Emmy and a Royal Television Society Award. 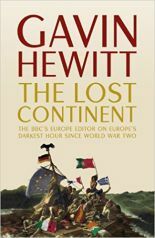 Gavin wrote the inside story of the crisis in Europe in his book The Lost Continent. It was a work of contemporary history detailing the struggle to save the European project and how the crisis left communities with the worst unemployment since the thirties. The Financial Times called it ‘a work of living reportage’. The Times said it as ‘a sharp diagnosis of a very European sickness.’ The book was also described as ‘excellent and sweeping’ .